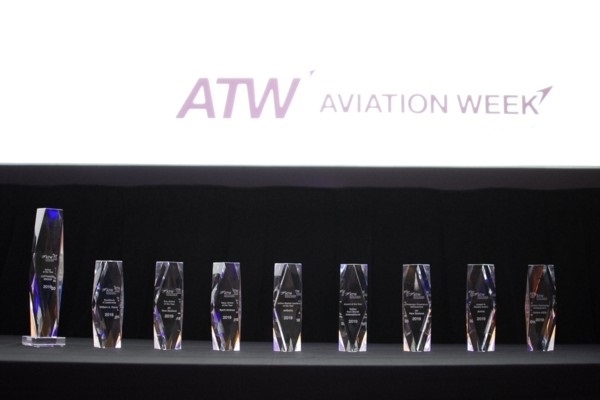 Aviation Week Network's Air Transport World (ATW), the leading media brand serving the information needs of the global airline and commercial air transport communities, honoured the Latvian airline airBaltic on March 26, 2019 in the ATW's 45th Annual Airline Industry Achievement Awards ceremony in New York. During the ceremony, airBaltic received the ATW Market Leader award for showing significant growth in the local market. airBaltic is the first airline in the history to receive this award for two years running. Martin Gauss, Chief Executive Officer of airBaltic: "I am truly proud and honoured to be here and to receive the award on behalf of our talented and motivated airBaltic team. We are happy to see that our development is appreciated in the global aviation industry. Our focus is to continue our sustainable growth path and develop the Baltic market with the most advanced fleet. We aim to achieve even better results in the future." "This year has started out great – we are now the number one airline in both Estonia and Latvia and have remained as the most punctual airline in Europe. During the first two months of 2019, 13% more passengers have travelled with us, showing the continued growth of the company. Our passengers can choose among more than 300 destinations we are offering with one stop with our partner airlines," adds Martin Gauss. ATW 45th annual Airline Industry Achievement Awards are the most coveted honour globally an airline or individual can receive to recognize excellence in the air transport industry. airBaltic was recognized for the building on its 2017 success and continuing its fast growth, offering more than 70 connections from all three Baltic capitals. In Riga, airBaltic commands a 54% market share. airBaltic reached record passenger numbers and revenue in 2018. ATW Airline Industry Achievement Awards were established in 1974. They are bestowed upon individuals and organizations that have distinguished themselves through outstanding performance, innovation, and superior service. airBaltic (AIR BALTIC CORPORATION) is the most punctual airline in Europe connecting the Baltic region with 70 destinations in Europe, the Middle East, and the CIS. airBaltic is a joint stock company that was established in 1995. Its primary shareholder is the Latvian state, which holds 80.05% of the stock, while Lars Thuesen holds around 20% through his fully-owned Aircraft Leasing 1 SIA. The airBaltic fleet consists of 34 aircraft – 14 Airbus A220-300s, 8 Boeing 737s and 12 Bombardier Q400Next Gen aircraft. airBaltic has received numerous international awards for excellence, innovative services, and achievements in reshaping its business. In 2017, the airline received the CAPA Regional Airline of the Year awards, while airBaltic for two years in a row (2018 and 2019) have received the ATW Airline Industry Achievement Award as the Market Leader of the Year. airBaltic achieved the best on-time performance globally in 2014, 2015, 2016, 2017. Aviation Week Network, a division of Informa plc, is the largest multimedia information and services provider for the global aviation, aerospace, and defense industries, serving 1.7 million professionals around the world. Industry professionals rely on Aviation Week Network to help them understand the market, make decisions, predict trends, and connect with people and business opportunities. Customers include the world's leading aerospace manufacturers and suppliers, airlines, airports, business aviation operators, militaries, governments and other organizations that serve this worldwide marketplace. Aviation Week Network's portfolio delivers award-winning journalism, data, intelligence and analytical resources, world-class tradeshows and conferences, and results-driven marketing services and advertising.